It is not uncommon for a company to help with some of the costs when they relocate an employee. In many instances, these companies will assist with the cost of a new home. 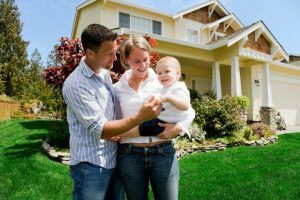 When you find yourself in a relocation scenario, things tend to move quickly, and you want to be sure your new home is sound and doesn’t have potential for problems in the future, so you enlist the services of a relocation inspector. Here at Cliff Kapson Consulting, we have been offering relocation inspection services for over 20 years. We specialize in exterior residential and commercial property inspections and hold various certifications that allow us to conduct some of the most comprehensive home relocation inspections available in the United States. To learn more about our inspection services or if you are in need of a home relocation inspector, give us a call today at 888-304-3437. You can also reach us by filling out the contact form located on this page and one of our inspection specialists will get back to you as soon as possible. At Cliff Kapson, our relocation inspectors are highly trained and are continually improving their methods to provide you with the most thorough home inspections and detailed reports. Out inspectors are certified in a variety of inspection methods and take training courses from Sto Corp. and Dryvit Systems, which are some of the largest EIFS manufacturers in the country. For more information on our home relocation inspections or if you have any questions regarding our other inspections services, call us today at 888-304-3437. Or you can simply fill out the contact form on this page and we will respond shortly.